You know HipHop? 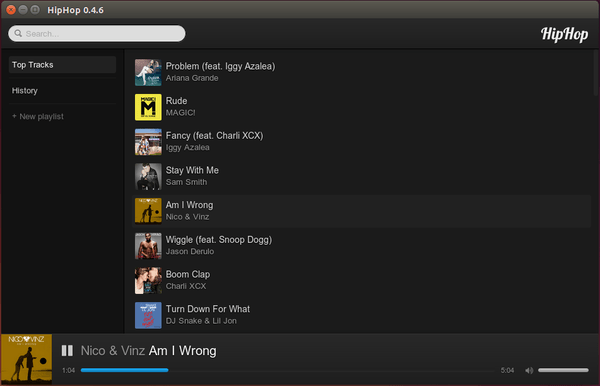 It is an application lets you listen instantly to more than 45 million songs. No ads and totally free! 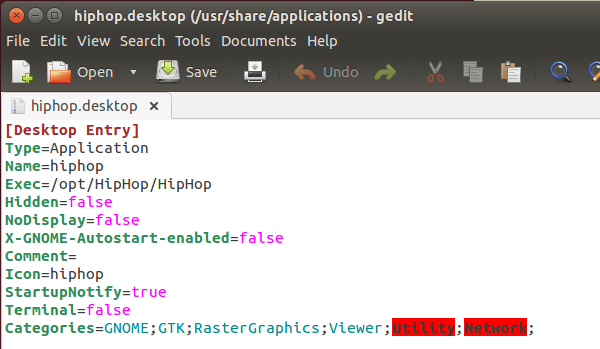 HipHop works on Windows, Mac and Linux (64-bit only). This simple tutorial will show you how to install it in Ubuntu 14.04 LTS 64-bit. Should also works on other Ubuntu releases. There will be a few Linux commands in the below steps. Don’t be scared, just copy and paste them one by one in a terminal window (open terminal via Ctrl+Alt+T) and hit Enter to run. Type in your user password when it asks. Just type in mind and hit enter because terminal displays nothing when you typing a password. 4. In terminal, run command to decompress the package to /opt/ directory for global use. After this command, run ls and you should see HipHop folder in the list. If everything is OK, let’s go create a launcher for HipHop so that you can start it from Unity Dash or Launcher. 1. First download an icon for the app. Below command will download the logo at the top of this post. When the file opens, copy and paste below into it. Save the file and now you can search and open HipHop from Unity Dash.